Dale’s love of nature and wildlife has kept him passionate about photography for over 50 years, but it’s his willingness to stretch the boundaries that has kept his unique style constantly evolving. The search for new images has taken him from the mountain tops of Canada to the blue waters of the Caribbean. Once a location and subject are decided upon he uses a technique coined by Ansel Adams know as previsualization. Before the first photo is ever taken Dale has imagined every detail and aspect of what that final photo will look like. This technique brings the viewer to the space and place where he was standing, seeing those brief and fleeting moments of time so rare, they almost always go unnoticed. In his newest venture, Dale has turned his lens towards the night sky. 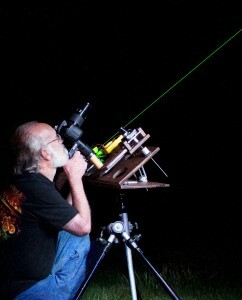 Capturing images of the Milky Way and the Venus Transit took close to a year of research. Anchoring the images to local landmarks like the Viaduct, Price Lake and Grandfather Mountain make them more personal to the people who see them. His photo Grandfather’s View of the Milky Way recently won best of show at the Appalachian Mountain Photography Competition. To view more of Dale’s work, visit www.daleforrest.com.